Attorney General Jeff Sessions has agreed to testify before the Senate Intelligence Committee on Tuesday, days after fired FBI Director James Comey's testimony left lingering questions about the FBI investigation into Russian election meddling and any ties between Russia and the Trump campaign. "Some members [of the appropriations committees] have publicly stated their intention to focus their questions on issues related to the investigation into Russian interference in the 2016 election, from which I have recused, and for which the Deputy Attorney General appointed a special counsel," Sessions wrote. "In light of reports regarding Mr. Comey's testimony before the Senate Select Committee on Intelligence, it is important that I have an opportunity to address these matters in the appropriate forum." "The Senate Intelligence Committee is the most appropriate forum for such matters, as it has been conducting an investigation and has access to relevant, classified information," Sessions continued. "Therefore, I am pleased to accept the invitation to appear before members of that committee on June 13th." Comey's testimony raised lingering questions surrounding Sessions' recusal from the FBI's Russia probe. Comey told the Senate Intelligence Committee Thursday that he couldn't discuss the "problematic" reason why the FBI believed Sessions would have to recuse himself from the investigation. 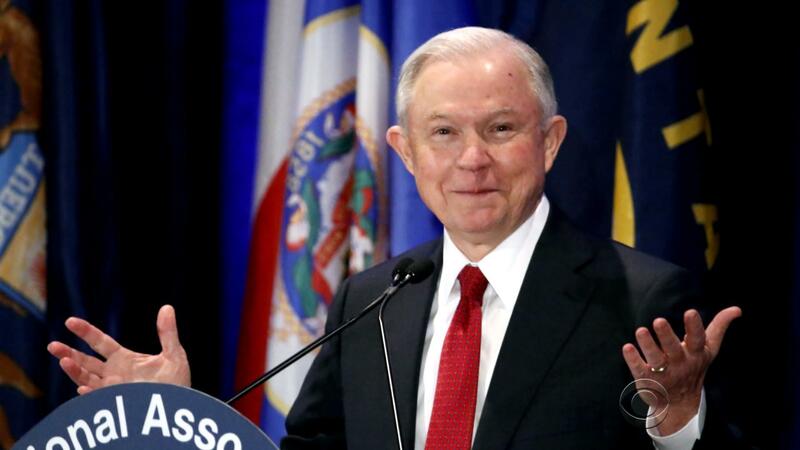 The DOJ fired back with a response saying Sessions recused himself only because he was involved in President Trump's 2016 presidential campaign.